It feels great to be back home to a familiar kitchen. Much that I enjoyed baking and cooking using the new appliances over at my cousins’ place in Boston, I missed my good ol’ kitchen. And it definitely feels good to be back to a much ‘warmer’ Winter here down South. 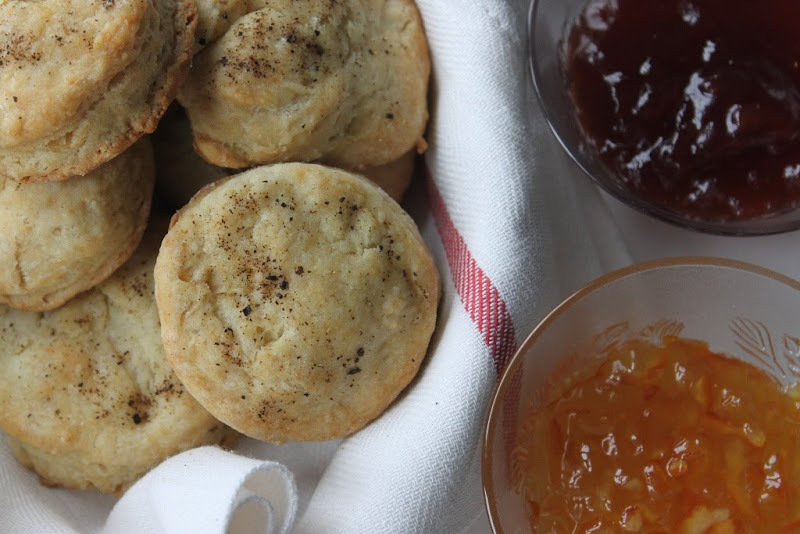 Nothing is more inviting to a breakfast or dinner table than freshly baked biscuits. They are far simpler than you think and can be baked up in less than an hour. Combine flour, baking powder, baking soda and salt in a large bowl. Using a dough cutter, combine until ingredients are incorporated. Scatter the cold butter pieces over the top of the flour mixture and continue to combine until the mixture resembles coarse meal. If you don't have a dough cutter, use the tips of your fingers.Transfer the mixture to the bowl of a food processor. Add the buttermilk and pulse until the mixture just begins to come together. Scrape the dough onto a lightly floured surface. Pat the dough into a 5 by 6-inch rectangle about 3/4-inch thick. Use a 2-inch round cutter to cut out biscuits. Press together the scraps of dough, and repeat process. 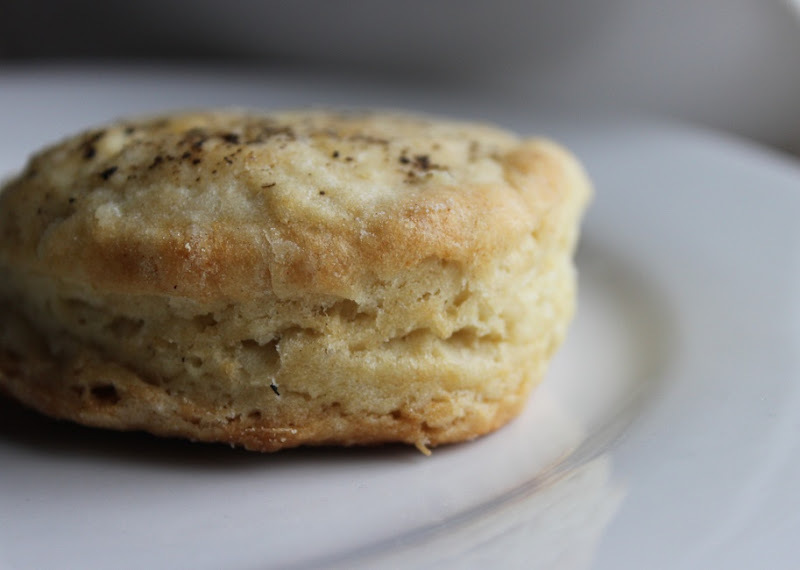 Place the biscuits on 2 baking sheets lined with parchment paper and sprinkle with black pepper. Bake the biscuits for 10 to 12 minutes or until lightly golden brown. Remove from the oven and brush the tops with the melted butter. Serve while still warm. We had ours with Orange Marmalade and home-made Strawberry Jam. The pepper added a little bite to the biscuits. 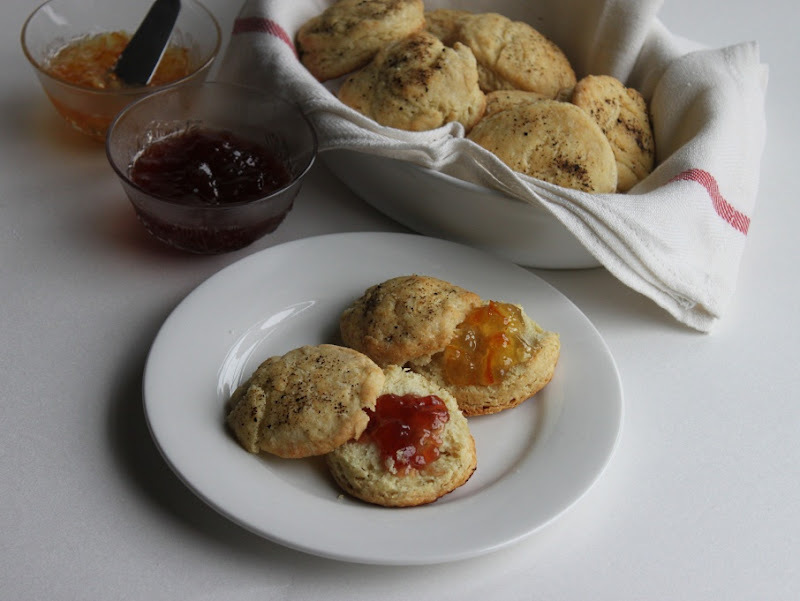 Lovely clicks Namratha, those biscuits tempt me to buy a oven sooner to try it out. 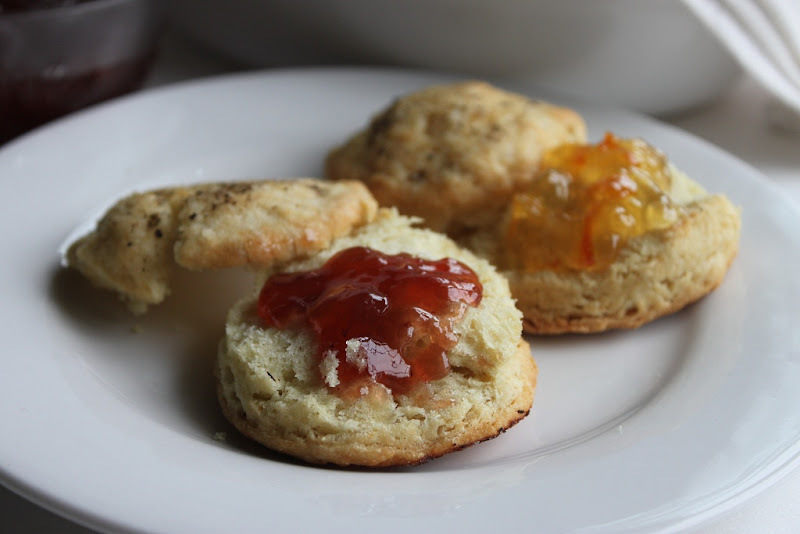 Orange marmalade jam is my fav....with biscuits hmm yum! will try your recipe one of these days! Delicious Biscuits. 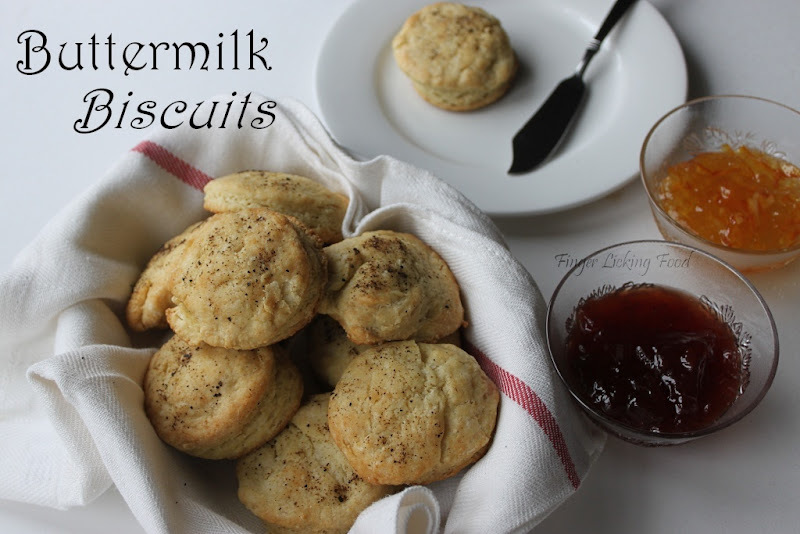 Never heard of buttermilk biscuits or even thought of using buttermilk in making biscuits. Fabulous job! !